Is your character a mirror image? FOR NOVELISTS, WHAT'S IN A NAME? WHAT MAKES YOUR DREAM VACATION? 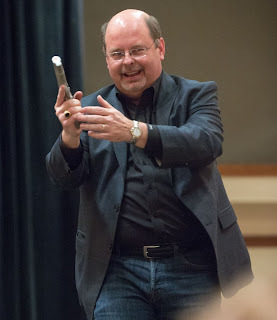 It is with great pleasure I get to introduce our next guest blogger, John Gilstrap. He's one of my all time favorite writers, and I've read every one of his books. He's a New York Times bestselling author, funny, smart and a rare Type-A among a colleagues more often labeled introvert. At conferences, you might look for him in the bar! Backstory: John always wanted to be a writer. He took the long route to living the dream. He worked as an editor for a trade publication, served as a volunteer firefighter and (after going back to college for a Master's Degree) ended up an expert on explosives safety and hazardous waste. In fear of being mocked by his fellow engineers, he kept his writing ambitions under wraps for years. Until he sold his first book, Nathan's Run, and landed a movie deal in the process. Since then, four of John's books have been purchased or optioned for the Big Screen. In addition, he has written four screenplays for Hollywood, adapting the works of Nelson DeMille, Norman McLean and Thomas Harris. John's now has sixteen thrillers under his belt. 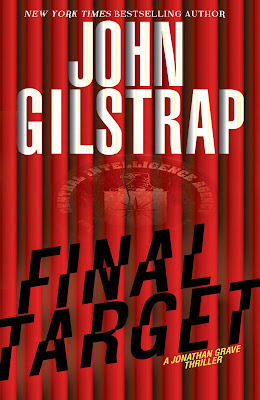 His most recent novel, Final Target hit the stands last Tuesday. It is the tenth book in his series featuring hostage rescue specialist Jonathan Grave, and like all of his books it's a definite must read. Which is harder: writing the first or last sentence? First sentences are probably the easiest because they are the set-up for everything that follows. In my case, though, they are very short-lived. I can’t think of a single case where my original first sentence from my first draft lived on as the first sentence in the final draft. In fact, it’s not at all uncommon for the entire first chapter to be relocated to the belly of the story. Last sentences are my favorites. Not just because they mark the end of a long journey, but because they are the words that set the mood for what the reader takes away. After sharing an arduous trip through hell and back, I like us to part company with the confidence that the world is back on its axis and that the characters who made it through to the end will ultimately be all right. I know this is where I should float out something lofty, like “love”, or a startling expletive (a la Inside the Actor’s Studio) but I’m not wired that way. I’m too much of a pragmatist. I’d have to say that at any given moment, my favorite word would be the one that I need right now. Whether the conversational goal is witty barroom repartee or tender expressions of love, the one right word exists. Unfortunately, it usually doesn’t occur to me until long after the moment has passed. 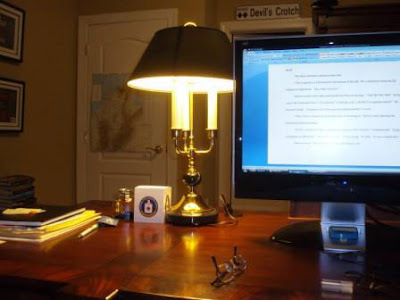 Where do you like to write?More often that not, I write at my desk in my office in my house, but I spent so many years as a road warrior for business that I can write pretty much anywhere. Some of my most productive writing settings while on the road is sitting at the bar in a hotel. (C: Didn't I tell you?) There’s enough noise circulating to provide a sense of company, but since I’m alone, I’m not engaged in what the others are talking about. In that setting, I can be particularly productive writing by hand. It has to be a fountain pen and good paper, though. What do you do when you need to take a break from writing?My life is really not very exotic. My wife, Joy, has her own company, which means that she spends most of the day commuting from client to client. That leaves me to do most of the household chores (though I am forbidden to do laundry). So, I do the shopping and the cooking and I enjoy both. I go to the gym every morning, and I go to the gun range fairly often—but not as often as I would like. If you could have lived in a different time period, what would that be? That’s easy—but there would have to be the caveat that I was only visiting, I couldn’t die, I could come back when I wanted to, and I would not get a toothache or any form of infection while I was there. With those ground rules, I would love to visit the time of the American Civil War. I was a history major in undergraduate school, and that was the period I specialized in. The awesome spectacle of violence and the aftermath would be stunning. But mine would be a passing-through kind of visit. In reality, I think we live in a spectacular time right now. 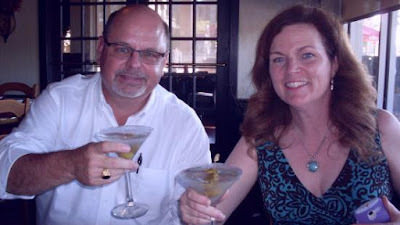 My favorite alcoholic drink, hands-down, is a Beefeater Gin martini, straight up with olives. A close second would be Bourbon or Scotch, straight up. My favorite non-alcoholic drink (not counting morning coffee, which is really medicine) is club soda with lime. When you were ten years old, what did you want to be when you grew up? What a perfect question! When I was ten years old, I wanted to grow up to be a writer. I wanted to tell stories. It took me a long time to get to the dream, but it’s very cool to look back and realize that I am one of very few people I know who is literally living his childhood dream. Not a day goes by that I don’t marvel and give thanks for my good fortune. Do you have a literary hero? A teacher, mentor, family member, author who has inspired you to write stories? My third and fourth grade teacher, Mrs. Lippincott, was far and away the best teacher I ever had. She was the first person in my life to recognize that I had a way with words and that what previous teachers had seen as classroom disruptions (Johnny needs to learn to keep his mouth shut, Johnny must learn to stay in his seat . . .) were actually a cry to be noticed. She created opportunities for me to write stories and read them to the class. She made it nearly as cool to write stories as it was to throw a fastball. (And let’s be honest. Writing well will never be as cool as throwing a fastball.) I will always remember her for that. In fact, so significant was her impact on all of her third grade class—the administrators had given her all the incorrigibles—that they kept our entire class intact for fourth grade. Do you write what you know or what you want to know? I write to tell stories. I like to create characters and situations that are challenging for all of us. For me, there’s no conscious voyage of discovery; it’s just a great pretend. I do exactly as much research as is necessary to get the details right, and then I move on. That said, I’m fortunate to have lived a life that involved a lot of risk and a lot of fear and a lot of love. With all that in my storytelling arsenal, combined with a knowledge of weapons and explosives, I guess I lean more to what I do know. Describe your very first car. My very first car, if you could call it that, came into my possession in 1977 as a hand-me-down from my older brother. It was a 1962 Rambler station wagon with rusted out floor boards—honestly, you could see the pavement as you drove. I think he paid a hundred dollars for it, and he drove it for a couple of years. By the time I got it, it guzzled as much oil as gasoline and it reeked of both. I haven’t thought of the POS car in years. I don’t even remember how I got rid of it. By 1979, I had a 1973 Ford Pinto. You know, the model that would blow up if it got rear-ended. 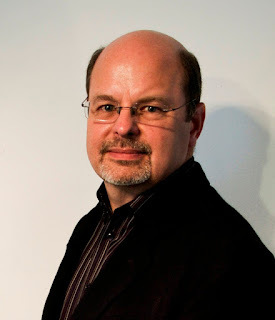 John is also the creator of a podcast with writing tips for writers called A Writer's View of Writing and Publishing. Whether you're a published or aspiring writer, John has tips on all sorts of things from the agent/writer relationship to pitching your book idea to movie deals. Check it out! I signed up. 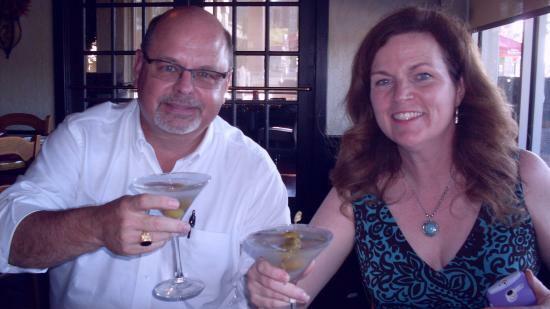 A big thanks to John Gilstrap for Going Rogue! I love final sentences as well, John. At their best, they move the reader to snap the book closed and immediately go online to order your entire backlist. 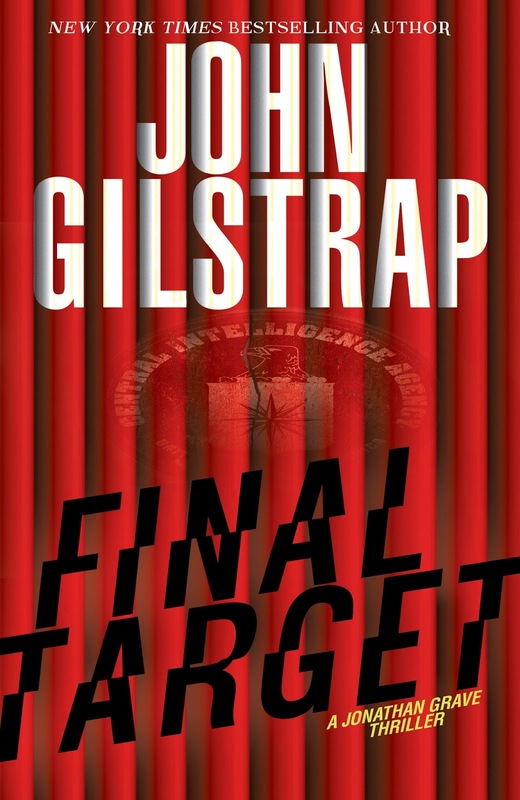 What a terrific summary of the dreams and experiences of a great writer such as John Gilstrap. Knowing he wanted to be a writer at age 10 is amazing. Many boys I've known at that age said they wanted to be astronauts, rock stars or basketball players, and none of them ever lived out their dreams like you did, John. Way to go! Thanks for a great post. John, thanks so much for your post! You're as entertaining online as you are in person. My first car was also an oil guzzler--a Plymouth K car, that would short out if I drove for more than a few hours at a time. I spent many an afternoon at highway rest stops waiting for the engine to cool.